Needless to say, you want to avoid all that. To do so you’ll have to take some steps in advance to keep from defaulting. The biggest step you can take to avoid defaulting on your student loan is to manage your debt level. Don’t borrow money if you don’t have to. The more you borrow the more you have to pay back and that will increase your chances of default. Instead save for college and pay for as much as you can with cash. Anticipate what you’ll need for college by creating a budget. Then only borrow what you absolutely need and can afford to pay back. If you decide to take out a loan make sure you understand the agreement. Know the costs of getting into the loan, the interest rate on the loan and the terms of repayment. Do not sign the promissory note that grants you the loan until you fully understand the details. Above all, be proactive if you sense trouble is coming or if you experience a change that may impact your ability to pay back student loans. Let the lender know when you’ve had a change of address, have graduated, dropped out of or transferred to another school. If you can’t make the monthly payments, ask your loan provider about applying for a deferment or forbearance. They will help you understand what that means and what other options are available. And in case you are thinking about simply declaring bankruptcy, forget it. According to the Federal Trade Commission, your student loan obligations usually cannot be erased through personal bankruptcy proceedings. It’s plain and simple…in order to avoid default you have to make arrangements with your service provider to pay back the loan. Otherwise you’ll end up being in a place you don’t want to be. Questions: Are you paying back a student loan from college? How are you managing the payments so you don’t go into default? What other suggestions do you have for students looking to pay back student loans? In retrospect, would you still take out a student loan to pay for college? Those are some major consequences. What’s even more surprising is how many people are in this dire situation. 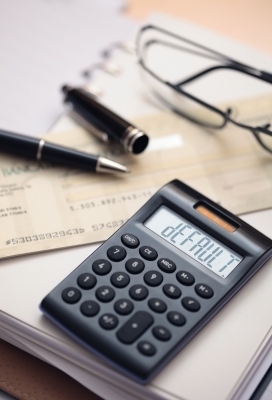 According to government data, as of 2011 almost 15% of borrowers are in default. That’s pretty high. And who knows how many are delinquent. Being in default seems even worse than bankruptcy and can take a while to recover from. Best to avoid the situation altogether. Defaulting on any type of debt is bad especially student loans. The only way to escape student loans is to pay them back. Otherwise, you are setting yourself up for a world of hurt. “…only way to escape student loans is to pay them back.” Agreed JC…or to not take out any at all. If I could turn back time, I would not take out a student loan in almost full. I’d rather have a scholarship, join a school organization, or get a side hustle. Or, if there’s no option, I’d probably start paying the loan earlier or while I was still in college so that it’d be easier and faster to be over it. “…get a side hustle.” That’s a great way to fund an education. Jobs on the side are doable even with all your other commitments. Despite being a qualified and skilled person I struggled for 2 years to find a job –any type would have been welcome. So I had to defer my repayment for that much. After having secured a job, I was layed off at the beginning of the year. I was given Unemployment, which I used to continue paying my debt, mostly. I have yet to find another job, and my unemployment has long gone. I had to place my loan on deferment once again. And the repayment and interests repaid so far will be eaten again by accrual of interest. Nice economy? eh! and they say that unemployment is under control? I wonder how long has it been since they looked for a job. Thanks for sharing your experience. Sorry it’s been so tough. What you are describing is what many who take out student loans don’t anticipate. Jobs after college are not guaranteed…but it is a guarantee you’ll have to pay back that loan. I believe that most people are somehow talked into going to college by parents and peer pressure. If I were to do it all over, I would go for a trade. A trade costs less, takes up less time, and since it is that short a person can always return to school if a Ph. D. becomes a need. Also, it is generally more narrow, and targets a specific field, all along allowing for a person to accrue ‘real work experience” (as opposed to fake college jobs –note not all students do fake jobs). I’m still paying off my student loan. We’ve advanced the payment schedule and at this point are looking forward to being done with student loan debt in 2016. My best tip would be one you’ve mentioned: don’t borrow any more than you absolutely have to! I was really irresponsible and probably borrowed more than I really needed to, and I’m paying for it now. But only for a few more months!! “…don’t borrow any more than you absolutely have to!” This is really where it all starts. Keeping the school debt low (or taking out none at all) is the way to go. Brian recently posted…Should I Ever Get Rental Car Insurance? I wrote a similar post on Magnify Money recently. It’s VERY scary what happens if you don’t repay your student loans, for the reasons you’ve mentioned. Personally, I’m plugging away. I started at $206k and I’m down to $124k. I’m looking forward to making huge strides in the next year. You are making great progress Natalie. It’s gonna feel great when you kick that debt to the curb.